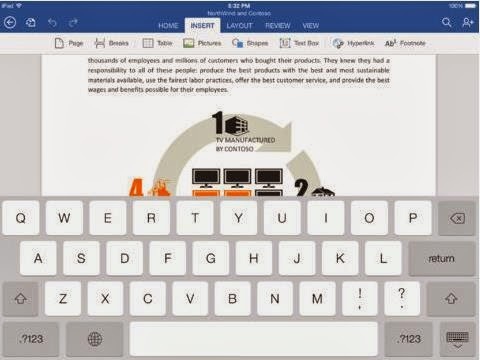 Download Microsoft Word for iPad: The long awaited Microsoft Word for iPad is finally released today, The free iPad app lets users read and edit word documents directly on your iPad running iOS 7. Though the app can be download for free but you need to have a valid office subscription of $100 to use the app. The iPad optimized app offers most of the features that the PC version provides and Microsoft has also release the Excel and PowerPoint apps for iPhone and iPad. There is one big benefit of downloading the Microsoft word app for iPhone. Unlike iPad users, iPhone users doesn't require a office subscription.